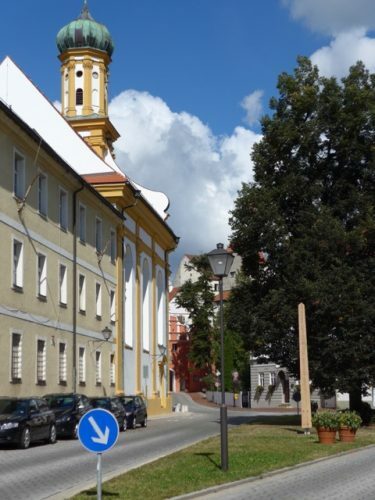 The Bavarian town NEUBURG celebrated 30 years of sistership with SÈTE in Southern France by planting a Peace Pole on September 10th, 2016, with many French guests but also Czek guests as the Czek Republic is another twin town of Neuburg. 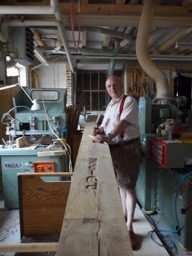 A local carpenter made the Peace Pole (see photo with marked tree) and German local TV featured the event. 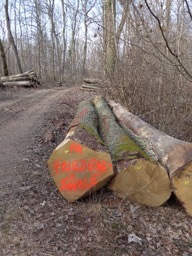 The Mayor declared in his speech that a Peace Pole has been in his mind for quite some time and that the location is perfect, because the local high school students would have to pass the Peace Pole each day on their way to school and he hopes the message on the Peace Pole shows them that peace and freedom overcome hate.